Our favorite - the eye cuff. 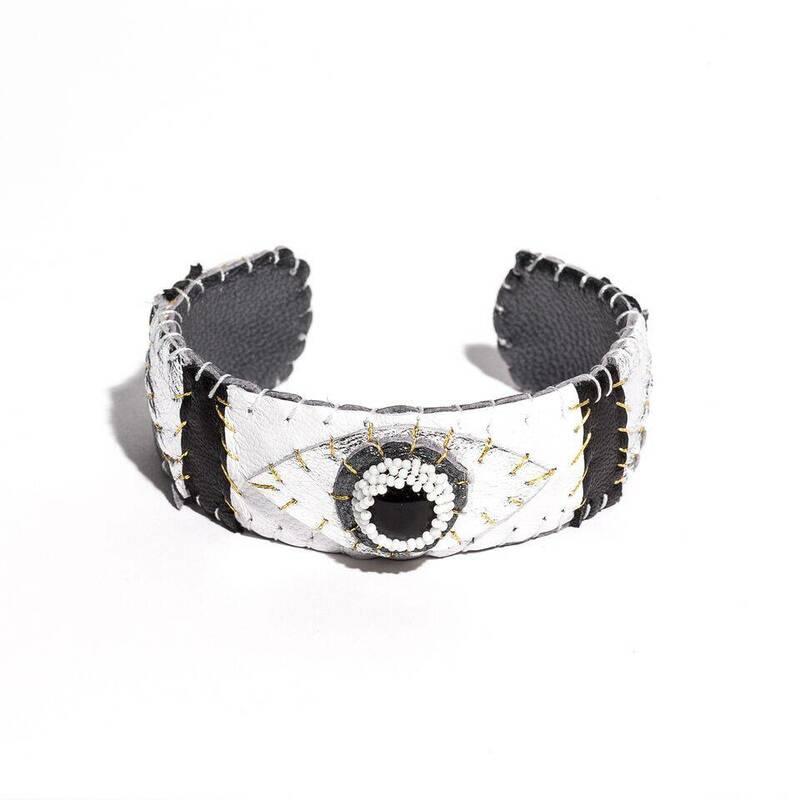 Patchwork stitched in white, black, grey and silver shades with white beading and an onyx stone. Measures 3/4 of an inch in width. Measures 6" around with a flexible opening.